The big buzz among car junkies these days involves AVs, autonomous or driverless vehicles. Forces behind it are numerous, including automakers' having lots to lose ... or gain. Strong tailwinds are blowing in efforts to reshape drivers’ iconic love affairs with their cars. And some pretty fierce headwinds too. That’s not surprising given the enormous stakes at issue in the fast-moving efforts toward autonomous, or driverless, vehicles, including, but clearly not limited to, passenger cars. Vehicle location apps to alert parents if their teenage drivers go beyond a set range or above a safe speed. That’s scratching the surface of what those in and well beyond the auto industry see coming down the pike. And sooner rather than later. The increasing amount, and in particular the increasingly sophisticated, electronics on today’s and tomorrow’s vehicles is from a technology perspective one of the major forces behind what many anticipate will be a revolution in motor vehicle ownership and use, perhaps beginning initially with heavy-duty trucks and buses and fleet vehicles. “The auto industry will change more in the next five years than it has in the last 50,” GM CEO Mary Barra says. Happy talk, and mere rhetoric all designed to just cloak automakers’ anxieties about retaining market share in whatever vehicle future emerges? As bullish as they may sound, after all, few reasonably expect major automakers to embrace major trends that ultimately would – or certainly could – lead to fewer vehicle sales. True. But not so fast. It’s more than advancing technology alone that is behind these changes. Perhaps even more so, the coming, some will say inevitable, changes arriving soon to auto dealers near you are driven by what is often referred to as the “shared economy,” or “shared culture.” Or as the “access” or “on-demand” economy. Think here of the likes of Airbnb, VRBO – Vacation Rentals by Owner, Couchsurfing, E-Bay, Uber, Lyft, Zipcar, Flexicar, Shipt, Sidecar and others. Together, the social and technological forces, GM’s Barra says, “are redefining personal mobility and rewriting the rules on vehicle use and ownership.” Together, they provide “tremendous opportunities . . . to develop dramatically cleaner, safer, smarter, and more energy-efficient vehicles.”It all helps explain why Barra has listed “autonomous driving engineers,” “alternative propulsion engineers,” and “analytics experts” as top prospects for those hoping to move into auto design and manufacturing careers. The academic and independent research communities are prominent on, and in some ways are leading, this particular bandwagon, often raising as many challenging questions as offering possible answers to what lies ahead. A Rand Corporation report, “Autonomous Vehicle Technology: A Guide for Policymakers,” probes likely advantages and disadvantages of AV technologies and cautions, among other things, that “aggressive policymaker intervention with respect to regulations or liability is premature and would probably do more harm than good,” at least for now. As have others, the Rand study suggests that “without driver error, fewer vehicle crashes will result,” putting the kibosh on fears over vehicle and pedestrian safety concerns. By decreasing costs of driving, AV technology may lead to increased congestion. Jobs and economies based on public transit, crash repair, and auto insurance might find future business prospects suffering and some jobs obsolesced. Fewer cars per person, but more miles traveled? They write that various factors complicate more predictions, such as feasibility of vehicle-sharing; overall timing of trips; “general willingness or lack thereof”) of individuals to share vehicles within a household; and chances that those not currently driving would become vehicle operators or users of AVs, potentially increasing the number of “drivers” per household. On the other hand, Schoettle and Sivak write in that report, the shifts in ownership and vehicle sharing could lead to “a 75 percent increase in individual vehicle usage, from 11,661 to 20,406 annual miles per vehicle.” That’s without considering empty-passenger “return-to-home” trips after a vehicle, for instance, leaves off a worker at the office and then drives itself back to the family home for use in mid-day errands. Before returning to the worker’s offfice for the end-of-day commute. They emphasize in that report that their results “serve only as an upper-bound approximation” given all the unknowns . . . and for now, perhaps, unknowables. 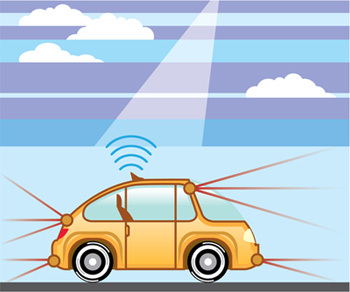 The UMTRI AV analyses over the past 18 months total at least eight and address related issues such as number of travel and trip patterns; crashes; licensing tests and graduated licensing requirements for use of self-driving vehicles; vehicle automation consumer preferences; motion sickness; road safety, particularly during the years when AVs share roads with conventional vehicles; and public attitudes toward AVs in Australia, China, India, Japan, the United Kingdom, and the United States. For those wanting a still deeper drive into the ins and outs of the AV “revolution,” the Victoria Transport Policy Institute, an independent research organization in Canada, last December issued its “Autonomous Vehicle Implementation Predictions: Implications for Transport Planning” analysis. 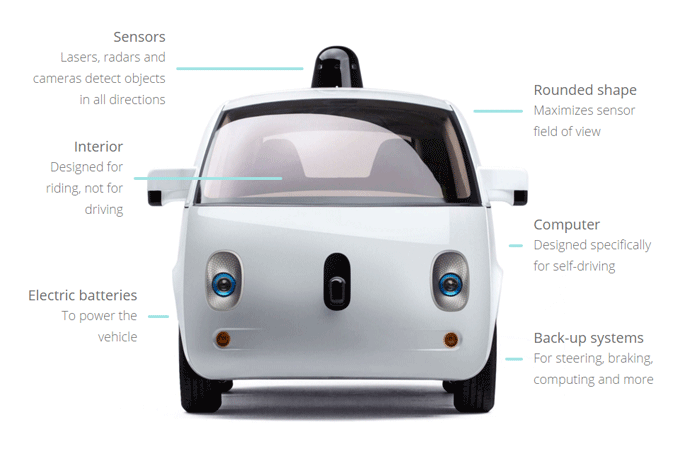 Early-stage AVs, like other technology deployments, “will initially be costly and imperfect”. In the 2020s and perhaps the 30s, AV’s “are likely to be expensive novelties with limited abilities”. In the 40s and 50s, it’s likely that “middle-income families can afford to own self-driving vehicles” safe in all road and weather conditions, with lower-income households relying primarily on the used-vehicle market lagging beyond then. Pre-mile rates with shared vehicles such as taxis may cost one-third to two-thirds less than for human-driven taxis, but expenses such as cleaning costs need also to be considered. “Prestige and convenience sake” will motivate many motorists to prefer owning their own vehicle, so shared vehicles may reduce vehicle ownership patterns primarily “in compact, multi-modal areas,” with little impact in exurban and rural areas. Vehicle miles travelled may well increase. Government regulation at local, state, and national and international levels. The one certainty at this point: There’s lots happening on the AV front, and lots still to be determined on how it proceeds and what its implications will be for post-Paris agreement climate change issues. And one last certainty: It all demands close watching. Influence of Current Nondrivers on the Amount of Travel and Trip Patterns with Self-Driving Vehicles (Sivak and Schoettle), Report No. UMTRI-2015-39, December 2015. A Preliminary Analysis of Real-World Crashes Involving Self-Driving Vehicles (Schoettle and Sivak), Report No. UMTRI-2015-34, October 2015. Should We Require Licensing Tests and Graduated Licensing for Self-Driving Vehicles? (Sivak and Schoettle), Report No. UMTRI-2015-33, October 2015. Motorists’ Preferences for Different Levels of Vehicle Automation (Schoettle and Sivak), Report No. UMTRI-2015-22, July 2015. Motion Sickness in Self-Driving Vehicles (Sivak and Schoettle), Report No. UMTRI-2015-12, April 2015. Potential Impact of Self-Driving Vehicles on Household Vehicle Demand and Usage (Schoettle and Sivak), Report No. UMTRI-2015-3, February 2015. Road Safety with Self-Driving Vehicles: General Limitations and Road Sharing with Conventional Vehicles (Sivak and Schoettle), Report No. UMTRI-2015-2, January 2015. Public Opinion about Self-Driving Vehicles in China, India, Japan, the U.S., the U.K., and Australia (Schoettle and Sivak), Report No. UMTRI-2014-30, October 2014.